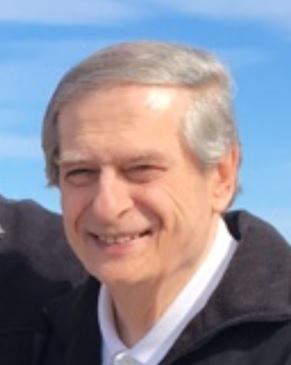 Gary J. McClure, 75 of Taylor Court passed away on Thursday, April 11, 2019 at Albany Medical Center surrounded by his loving family. Born in Troy, he was the son of David McClure and Louise Cocca McClure and beloved husband of Diana Carpentier McClure of Troy. Raised and educated in Troy, he was a graduate of Catholic Central High School, class of 1961. Gary was a corrections officer with the Rensselaer County Sheriff Department for 35 years. In the late 70’s he was owner of the Address Restaurant on Hoosick Road. While at Catholic Central he played basketball and later inducted into the Hall of Fame. Gary was an avid golfer. Survivors in addition to his wife Diana, include his children Shelly Jo Snyder (Jeff) of Waterford, Scott McClure (Sandra) of Malta, David McClure (Kelly) of Troy, Michael Morris, ret. USAF (Adeline) of Billerica, MA, Jeremiah Morris (Jill) of Brunswick, eight grandchildren Marissa, Morgan, Justin, McKenzie, Amanda, Xavier, Alex and Alana, his sister in law Susan Parrow (Michael), his niece Alison Dennin (Timothy), his nephews Joshua and Michael Parrow. He leaves behind his dog “Bella” and cat “Shadow”. In addition to his parents, Gary was predeceased by his daughter Diana Morris Sage and his brother Robert “Max” McClure. Mass of Christian burial will be celebrated 9:30 am on Wednesday April 17, 2019 at Our Lady of Victory Church, Troy. Burial will follow at St. Mary’s Cemetery, Troy. Family and friends are invited and may call from 4 to 7 pm on Tuesday April 16, 2019 at McLoughlin & Mason Funeral Home, corner of 109th Street and Third Avenue, Lansingburgh. Memorial donations in memory of Gary may be made to St. Jude Children’s Research Hospital https://www.stjude.org/donate. Please visit www.mcloughlinmason.com.